Elite Singles is a dating website with an accompanying mobile app which aims to match you with other working professionals with similar interests. The German-based company has been running since 2008, with 65,000 new single people signing up worldwide every week. Elite Singles have done a lot to improve the dating site industry - including a Captcha that pops up when you register, as we found out. They also verify all profiles individually, reducing the number of active spam accounts. 5# What does the Free Account get you? 6# How about the Premium Account? We registered with Elite Singles to find out for ourselves what the site is like, how user friendly it is, features etc. What we found is a great site that will match you with other working professionals across South Africa from the moment you sign up. Is Elite Singles South Africa a dating site worth your time? Read our Elite Singles review South Africa to find out! As with any dating site, there are pros and cons to Elite Singles South Africa. Here are some of the main things we liked and didn’t like about the site. Signing up to Elite Singles is very quick and easy, as well as free. Just tell them if you’re male or female, looking for men or women, and give them an email address. That’s it! Completing the personality test does take a little longer, but can be done in stages if you don’t have time to do it all at once. It might seem a little tedious - and it is - to fill out the whole thing, but it really is worth setting aside an hour or so to sit down with a cup of coffee and give it your full attention. Not only will it help Elite Singles to match you with people much more accurately, but you will also be able to download a PDF of the full personality test and its results. Not many dating sites can offer that! Login is very easy when coming back to the site - the Elite Singles login button is large and clear in the top right corner. Most of the front page is dedicated to enticing new members, but those returning don’t have to scroll to find the Elite Singles login button which is useful. Elite Singles takes your personality test results and uses them along with your stated preferences to match you with other single working professionals. Their algorithm will find compatible members and suggest them - you cannot search the site for other people. They will match you with people who share some, but not all, of your characteristics and preferences. This, they say, is the basis of a strong relationship; it would be boring if you agreed on everything! Elite Singles South Africa filters out inactive members from its matching process, so you know that your matches are people who still actually use the site - good to know! Have a look to find the best South African Dating Sites! As part of our Elite Singles review South Africa, we signed up with our own profile to investigate the site, and filled in some details and the personality test. It took a while to sign up as we’ve mentioned, but the basic results from the personality test are viewable on your page. If you want the more detailed PDF you’ll need a paid subscription, however. After finishing the sign up process, we found we only had one match. At a suggestion from Elite Singles, however, we widened the distance preferences a little more, resulting in more matches. We did have quite a few profiles in our ‘Have You Met’ section, however, which we look at in a bit more detail below. It surprised us that there were so few profiles that made the cut, and so many that just barely missed it. If travel was an issue for whatever reason, it might be a struggle to match with more than one or two people in the same area. Elite Singles does say that they go for quality rather than quantity in their matches. The only other issue was that without a subscription you can’t really interact with other members very much. You can send them a ‘smile’ for free, but messaging and viewing other profiles and photos requires a paid membership. We also took a look at some other features and options as part of our Elite Singles review, which we’ll get into in a little more detail below. We especially liked the ‘Have you met?’ feature, and sending Smiles - both of which you can do with the free account. Take a chance on someone who doesn’t quite match up to your specifications. It widens your dating pool, you’ve lost nothing, and you could end up meeting the love of your life - in spite of the fact that they prefer classical to rock! Make sure you smile in your profile photos. Members who smile in their photos get a lot more messages and replies! Elite Singles South Africa also has a ‘Have you met?’ feature in addition to the matching system. This will show you members who almost matched with you, but not quite. You can only view one of these profiles at a time. If you send them a Smile or a Message, they will be added to your Match list - if you discard the suggested profile you can view the next one. We really liked this feature as it means you won’t miss out on potential matches just because an algorithm decided you weren’t compatible. The Matching Score is a number is shown with each of your matches, estimating your compatibility. A low number doesn’t necessarily mean you won’t get along, so don’t worry if it’s not that high! It often just means that your match is new to Elite Singles South Africa and hasn’t fully completed their profile yet. We also liked the Smile feature, which means you can send someone a Smile to brighten their day! It works the same way as a Poke or a Like, and just lets someone know you’ve seen their profile and liked it. What does the Free Account get you? 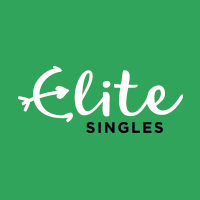 With the free account you can sign up and create a profile, and Elite Singles will begin making matches. You will also get the main points of the personality test that you completed. You can send and receive Smiles for free, as well as view your ‘Have You Met’ almost-match suggestions. You can also accept or discard these suggestions and move on to the next one. How about the Premium Account? Although a lot of the best features require a subscription, it’s very reasonable - at the time of writing, there is an offer of 6 months for just 119R per month, 20% off the normal price - and really is the best way to get the most out of the site. One month will cost you 399R as standard, and 3 months costs 199R p/m, so it’s usually worth looking out for offers and deals. You get a lot for your money too: unlimited messaging, viewing full member profiles including photos, access to a PDF of your full Personality Profile, and 20 extra Wildcard (Have You Met) matches every day. Elite Singles review all of their new members’ profiles manually, so the instance of fakes, bots and spam accounts is fairly low. Still, you should always keep an eye out for suspicious behaviour. The site has a great information page on Staying Safe, which has some good solid advice that is applicable to any dating site - be careful of giving out personal information, block and report immediately if someone asks you to send them money, etc. This is great advice, and we would definitely recommend giving it a read through. You don’t need a subscription to access it, and it will be invaluable on this and every other dating site to keep you and your information safe. All the information you give the site is SSL encrypted and firewall protected including any card details you give them as part of a monthly subscription. Also your personal details will never be revealed on the site - it’s unnecessary, as all messaging is done via the messaging system. Elite Singles review every profile to make sure it’s genuine, so your information will be seen by real human beings. They do say on the information pages that it’s only one or two trained personnel, however. We think it’s worth having someone view your information manually, if it means that this is also the case for every other member on the site. It greatly reduces the number of spam accounts and generally improves your experience, so we’re all for it! Customer Services on the site are very responsive, and do their best to get back to you as quickly as they can. There is no Elite Singles customer service phone number, but they do have a fax number and email address. These can be found by clicking on Customer Care on the banner at the bottom of each page, then Getting Started, and ‘How do I contact Customer Care?’ under Registration. While you’re there have a look around at the FAQ, as it’s really useful! Deleting your profile is quick and easy - just go to My Account and select Delete My Account. They’ll ask for a reason and any suggestions you might have to make the site better, then you need to enter your password to complete the process. If you have a paid subscription you will have to cancel that first. If you have made in-app purchases on the mobile app then you will also need to cancel those before you delete.